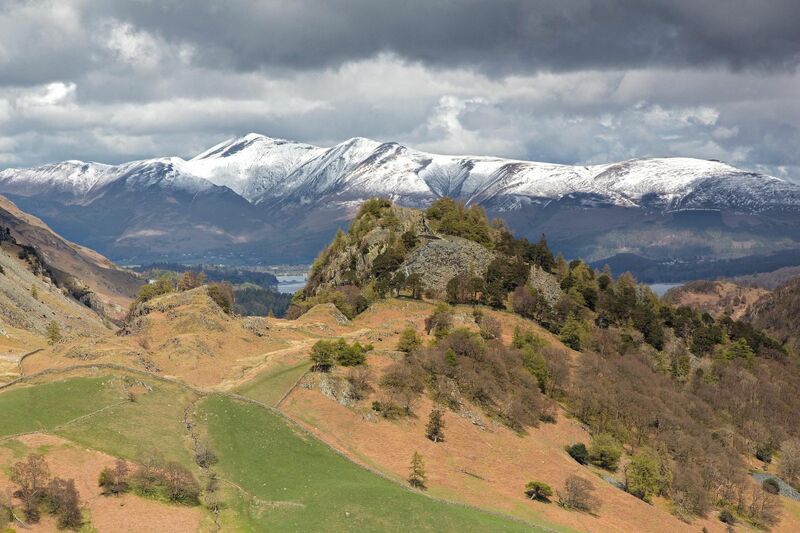 I have been wanting to take Castle Crag and Skiddaw for many a year but had never had the backdrop I wanted until now. The recent snow over Cumbria has left Skiddaw looking particularly attractive especially in the dappled light. I think Castle Crag stands out beautifully against Skiddaw and the threatening sky just adds a little bit of atmosphere to complete the image.